Invitations to Prayer: Selections from the Writings of Eric Symes Abbott, Dean of Westminster, 1959-1974. Cincinnati, Ohio: Forward Movement Publications, 1989. Escape or Freedom? Six Addresses on Prayer. Cambridge: Heffer and Sons, 1939. Foothold of Faith: Three Addresses. Catholicity: A Study in the Conflict of Christian Traditions in the West. 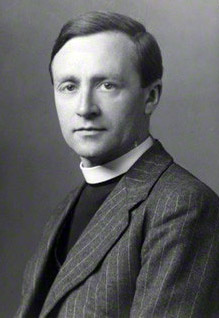 Education in the Spiritual Life: The Ninth Annual Vaughan Memorial Lecture Delivered at Doncaster Grammer Lchool on 12 May, 1961. Durham: Doncaster Grammar School, 1961. The Compassion of God and the Passion of Christ: A Scriptural Meditation for the Weeks of Lent. Westminster: Dean and Chapter of Westminter and Robert Nicholson, 1965.